The RainLog 2.0 data logger is our next generation Rainfall logger and features numerous improvements over our popular original RainLog. 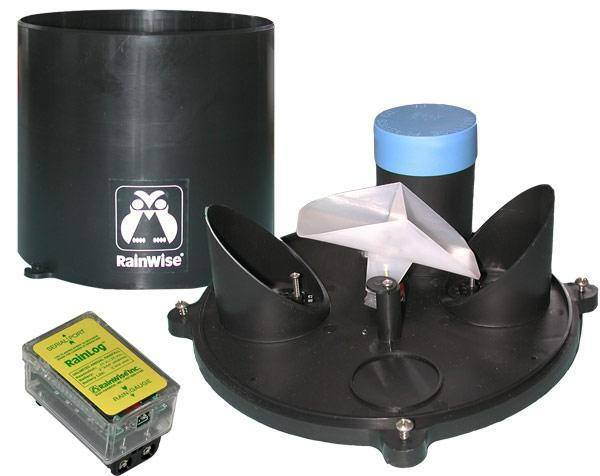 The RainLogger is comprised of our tipping bucket rain gauge and the RainLog rain logger. Rainfall is logged at a one-minute resolution and has capacity for several years of data. 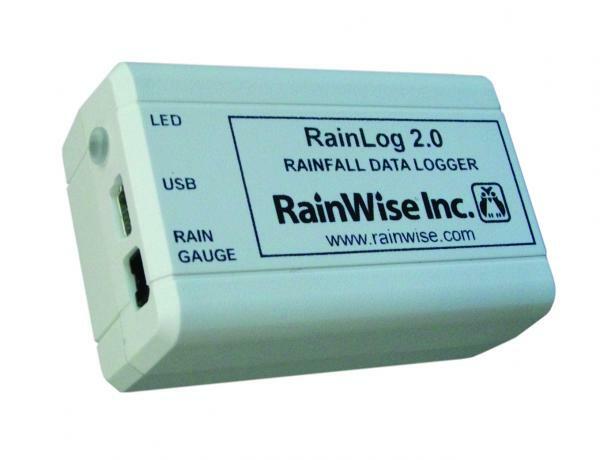 The Rainlog data logger is supplied with a polypropylene rain collector, RL-Loader software and USB cable. The tipping bucket rain gauge is calibrated to 0.01 inches / 0.25 mm per tip. This package does not include a mounting post. Increased capacity – Flash memory has been increased to 2 MB from the original 256K. AAA Batteries – The difficult to source lithium CR2477N battery has been replaced with two AAA battery compartments allowing for easy un-interrupted replacement in the field. Battery monitor- The RainLog 2.0 includes a battery monitor LED that changes from green to red when the battery voltage is getting low. The actual battery voltage is also reported in the RL-Loader software. Rugged Case- A new more durable case with battery compartment provides better protection to the electronics. Improved Protection- The electronics within the logger are protected with a new more durable conformal coating to provide better moisture protection. Faster Processor- A brand new processor allows for 120% faster downloads. USB connectivity- A USB mini connector eliminates the need for separate USB converters. The 8" diameter UV-inhibited polypropylene collector meets NWS specifications for statistical accuracy. Every time the bucket tips, a count is transmitted. Each tip of the bucket is equivalent to 1/100 th of an inch of rainfall. This free Windows based software package will run on Windows XP or later. RL-Loader is used to configure and download data from the Rainlog. Data is displayed in both text and graphical formats. You can print graphs and reports directly. Previously saved data can be loaded to perform analysis and generate reports. The latest release can export data directly into Microsoft Excel. The device info window gives you vital information about the attached Rainlog, like its time/date and the amount of memory used. The text window displays daily totals or the list of rainfall events as they occur. The graph window displays a bar chart of the daily rainfall totals. The graphing range is also configurable.